SAN BENITO — The school district will educate undocumented immigrant children held here in a federally-funded shelter. The school board has entered into an agreement with Southwest Key Programs to provide educational services to children housed in the shelter at the former site of the Dolly Vinsant Memorial Hospital. The agreement is similar to the Harlingen school district’s 2013 contract with Southwest Key, an Austin-based nonprofit organization housing undocumented immigrant children who were without parents or guardians when detained. As part of its agreement, the San Benito school district will receive state and federal funding for its educational services, said George McShan, a consultant who stepped down from the Harlingen school board last year after 30 years. Meanwhile, San Benito Superintendent Nate Carman said the state will pay the district about $2.8 million for one year to educate the 480 children housed at Southwest Key. The state pays the district $5,797 for every student it educates, Carman said. McShan said federal money will fund special education services. Under state law, the district is required to provide education to children ages 5 to 21 who live within its boundaries, the agreement states. “Each student at Southwest Key shall be eligible for instructional services of the district, subject to the terms of the Texas Education Code,” the agreement states. Southwest Key will fund the children’s summer-school expenses, the agreement states. The district will also provide special educational services. “The district shall conduct full and individual initial evaluations of students suspected of having a disability as required by federal and state law concerning the education of students with disabilities,” the agreement states. The agreement requires the San Benito school district assign at least 12 teachers to teach classes with as many as 30 children per classroom. “All instructional personnel employed by the district and assigned at Southwest Key must be bilingual and hold the appropriate certifications, qualifications or permits required by the Texas Education Agency,” the agreement states. The district will provide two two-classroom portable buildings and one single-classroom portable building to be located at Southwest Key, which will fund moving, installation and operational expenses. The agreement requires the district to provide “qualified and bilingual district employees” to teach the children five days a week. The district will also provide instructional materials such textbooks, the agreement states. In Harlingen, the district entered into an agreement with Southwest Key in November 2013. 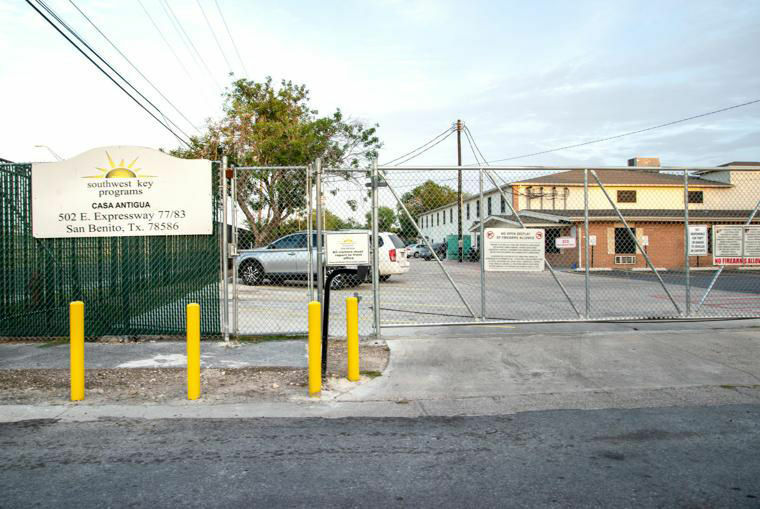 As part of the agreement, the district provides a teacher and a paraprofessional to teach children at Southwest Key’s shelter in the Combes area, Shane Strubhart, the district’s spokesman, said yesterday. Southwest Key did not respond to a message requesting comment.